Pulsetip – an international HR tech start-up with an ambition to build EUR 1 million in revenue within the next 2 years. 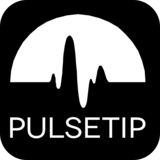 Pulsetip is looking for an ambitious sales driven and business-oriented co-founder and CEO to lead Pulsetip in building revenue and fundraising. We offer a possibility to run and co-own a start-up that has a developed product, a dedicated IT team, international customers, and over EUR 100.000 in 2018 revenue. Our ideal candidate should be experienced in international B2B sales and have a desire to own a business with exponential growth potential. Remuneration is performance-based and balanced between equity and salary.